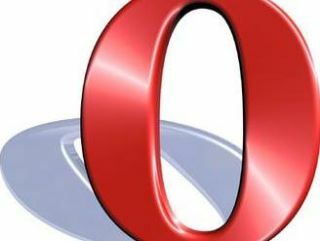 Opera has seen a massive increased in downloads of its browser following the introduction of the browser ballot 'choice screen' into Microsoft Windows. Microsoft ended years of arguing by producing a ballot screen that was rolled out in Europe through Windows Update to people who used Internet Explorer – the default browser and another Microsoft product. The ballot screen gave people the option of choosing a different default browser, listing Opera alongside the likes of IE, Chrome, Safari and Firefox. Opera has already told TechRadar that it has been delighted by the change it has seen since the ballot page went live, and the statistics show why. According to three days worth of Opera data, the ballot screen has handed the company a massive boost across Europe – with the UK seeing an 85% increase in downloads for Opera 10.5. "This confirms that when users are given a real choice on how they choose the most important piece of software on their computer, the browser, they will try out alternatives" said Hakon Wium Lie, CTO of Opera Software. "A multitude of browsers will make the web more standardised and easier to browse". According to Opera, the increase represents a doubling from normal download numbers on average – and the impact in some countries has been larger still. Poland (328%) Spain (215%) and Italy (202%) top the list of increases, with the UK's 85 per cent actually one of the smaller changes.